Reward Gateway is on a mission to make the world a better place to work. Our Employee Engagement Platform enables HR to support complex workforces in a segmented way, making it easier to attract, engage and retain staff. Accessible across all devices, user-friendly and available globally, the home for your employee benefits, discounts or perks, reward and recognition products, employee wellbeing solutions, employee surveys and a full suite of employee communication tools. "The Power of the SmartHub"
The flexibility and control. I am able to log on and make changes instantly when necessary and also play around with different layouts, formats before making anything go live. I love that I have access to all the data and stats on how colleagues are using the platform so that I can get excited about how well the platform is doing. My only dislike is the SmartPages layout as you cannot manipulate the layout the same as your home page. If more could be done with this so that you can put tiles where you want them I think it would make these pages more engaging. If you have a dedicated person or team who can look after this then it will give you the opportunity to really make it your own. If, you don't have someone to look after it then worry not. The team at RG are more than helpful and are experts in advising you on how to make the most of it. Our main achievement with this was to be able to offer colleagues a platform where they could ALL access great savings & discounts. Our previous provider only really benefited our higher earners and as the majority of our workforce are on NMW this was really excluding them. The launch of our SmartHub went down a storm with colleagues and we keep seeing some great results & feedback. Thank you so much for taking the time to leave a review. It’s fantastic you love the control and flexibility of SmartHub®. We designed the platform to allow HR to have control and to change things when needed rather than having to wait for IT etc. You make an important point re resource for the platform. We work on a fully supportive service understanding it is rarely someone’s full time job to run the platform. We have a 24/7 employee support team, 24/5 client support team as well as a dedicated Implementation Manager and Customer Success Manager to help with the running of the program. Yet we also give full control to you so if you would rather go in and make changes and updates then go for it! It makes us smile to hear the challenges our platform is helping you overcome, especially with the NMW part of your workforce. So often it is this segment of people that need help with savings and stretching their income more than any other so it is fantastic to hear we’re helping you achieve this! Keep us in the loop with how we are doing and thank you for being our client! the web page is totally customisable and can be tailored to our needs. The Implementation was really fast (which is what we needed at the time). Generally questions are answered really quickly and the chat feature on the website is really handy. They pay a lot of attention to data security. no link between nominations and award program. We have over 40 award approvers who all own their on award pot. They are also the ones receiving nominations, however if they want to give employees who have received nominations and award they have to go to a different screen. This is not user friendly and we have received a number of complaints. They have a customer services team who are helpful but at times do no have the full understanding how the scheme is working, a more hands on involvement of the account manager would be great at times. The system has helped significantly with recognizing our employees and the discount page is also used a lot. "Excellent supplier to deal with." Reward Gateway are a pleasure to work with and very responsive to any questions that you have. The discounts platform is very well utilised by our employees with very high engagement. We actively encourage employees to sign up for the weekly offer update email communications. The reporting side available to administrators could be better laid out and more user-friendly. I find at the moment that I have to run reports to see if it will provide the information that I need as the report categories aren't clear. The discounts platform is an excellent resource for our employees and one that we actively encourage employees to use. The introduction of the SmartSpending app makes the process of using instant vouchers in store even easier for employees too! We have also recently launched the wellbeing centre that Reward Gateway now provide as an additional product. This is promoted by the following categories; move, munch, money and mind. We are actively promoting this via our internal wellbeing champions and seeing great feedback from employees who are using this. Charlotte and the team at Reward Gateway are extremely focused on client care and excelling your expectations. They are dedicated to learning about your business and providing solutions to improve engagement within your organisation. I really love our employee discount platform which offers staff the opportunity to save in high street shops, and they add value to us by providing interesting and insightful webinars on important engagement issues. I would definitely recommend Reward Gateway, they are a fantastic strategic partner and have given us a great deal of value. Employee Engagement is a challenge in any large organisation with a heavily remotely based work force. The platforms Prosper provides allows our employees to see real benefits and make savings wherever they are, using an easy to use app. We have improved our recognition offerings with their idea for the 'social recognition wall' which allows our employees to send eCards to each other for free. "A tailored business solution for engagement, rewards, recognition, benefits and so much more!" The fantastic discounts from over 350+ national retailers, the user-friendly platform, the second-to-none service from the RG team. The Ecard system is also fantastic and our employees love sending/receiving them! The robust real-time reporting functionality that allows us to track spend and savings, popularity of retailers... brilliant! I don't really dislike anything about the product itself but I think they're are such an innovative team at RG, they are very quick to roll out updates that perhaps need a little more testing before going live to market. But I love the fact they are so cutting-edge it's always evolving and they tend to solve problems I didn't know I had! Your rapport with your RG Account Manager is key! Our AM is hands-down one of the best, most competent people I have worked with. She assisted with us to launch, and has been with us the whole way. She understands the fundamental issues in our business as we have transparent communication but also her experience with the system itself, and with other clients has meant that I know I can rely on her to assist me with getting things across the line in a timely fashion but even just as a sounding board. I've dealt with others at RG also and they have been great. Establishing that connection is fundamental in ensuring your platform hits all the right notes in your organization. We needed one unified system to communicate business news and updates to our 600+ employees across all states of operation in Australia. Our RG platform has allowed us to effectively communicate company, state-based, people and philanthropy news at the click of a button. We also wanted to enhance our R&R and benefits scheme with employees and we have now spent over $400k as a Group and collectively saved tens of thousands. Our customized solution continues to build in momentum and go from strength to strength, I wouldn't hesitate to recommend this product to anyone wanting to increase engagement, reward and recognize staff and provide a timely communication platform to their wider team. Our people now feel our RG platform is a one-stop-shop for all their news and eagerly await the articles from across the business! SmartHub delivers a number of objectives for us. The main objective being to work as a platform for delivering our Employee Engagement strategy through meaningful and collaborative communication, a strong employee recognition suite and benefits portal. SmartHub is flexible, easy to use and can be tailored not only to your brand, but your values as well. It's a fantastic communication tool for our staff, helps our staff feel unified under one company despite being dispersed across different sites and counties. We have flexibility over content creation, with assistance from the Client Support and Design teams wherever needed. Our Senior Client Success Manager is always on hand to help with new and creative initiatives not only within the SmartHub Platform, but for our own employee engagement plans as well. The back-end design tool could be a bit more flexible to allow client creativity without asking Reward Gateway's design team. There are only certain things you're able to do to make your SmartHub look amazing yourself and everything else needs to go to the Reward Gateway design team. Their Design team are brilliant, but sometimes it is quicker and more efficient to be able to design elements yourself. Plan your implementation and get your staff involved with what they want to see on the SmartHub. It is their platform after all! This gains by-in from staff from the beginning and helps build SmartHub in your culture, which is what you should aim for. Our overall objectives were to strengthen communication and feedback channels. Have a 'one-stop shop for everything "JCB" and to provide a flexible and relevant platform for our benefits scheme, including our Discount Portal. In addition, we wanted to improve our Employee Engagement score and this increased by 3% overall - with our largest increases being in communication and benefits. Thanks so much for taking the time out to let us know your thoughts on SmartHub®. You’ve done such a fantastic job creating a platform that delivers on all of your objectives, as well as increasing your overall engagement score by an incredible 3%. I was delighted to read your lovely feedback on the team, and I’ll be sure to pass that onto everyone. ‘Delight your customer’ is one of our eight company values, so this is a behaviour that we all try to live and breathe every day. Thank you for your feedback regarding more flexibility in the back-end. SmartHub® was always designed as a tool that our clients could build out themselves, but over the years there has been more demand to be more ‘hands-on’ so this is an area we’re working to enhance further. I can totally relate to what you said about ‘sometimes it’s just quicker to do things yourself’. If there is anything in particular you would like to have more freedom over in the back-end, please drop me a note via email and I’ll feed that back to the Product Team. I really liked your recommendation for others considering the product. Every organisations' engagement journey is so personal to them, but the more staff buy-in you can get from the offset, the more successful that journey will be. Thanks again, and can’t wait to see what you get up to next at the JCB Group. "HR Reward Consultant view of SmartHub from a large Financial Services business"
The discounts available are the best you will find on the market. RG also have the widest choice of retailers available of any employee discount provider. We have the reward and recognition, and childcare vouchers modules from RG as well. It's useful for the recognition side of thing especially to have the discounts as an attraction point to encourage usage. Often recognition is a separate system that requires it's own login and so isn't used frequently. The Smarthub is the home screen of the discounts portal, where you can link to other modules, or create your own content. This makes it ideal for smaller businesses especially to have their own secure external 'intranet' to hold policies and HR information. The smartpages that you can link to the smarthub are intuitive and easy to update. You get design team support to create visually appealing images for your smarthub tiles, which would normally be a very expensive undertaking if you went to an external studio to have them produced. IT Security support is very slow to respond, and I mean very slow - we have waited months for responses for basic requirements. Although the majority of businesses who deal with RG will probably have their queries picked up by the security pdf document that is produced, for financial businesses we need to be able to go into detail and speak to someone who works in the IT team. Development of the platform has not been clearly sign posted in the past. The development roadmap has not been communicated, and then a change is made on the site you weren't told about or were told about with a week's notice - the change could have consequences that would mean we would have to block access to the site or you can't update you employee listing. Suddenly you're on the back foot trying to resolve the issue in a short time frame. A clearly mapped out and project managed road map of developments is required and should be shared with clients, who should be kept up to date on large milestones, so that we can plan both comms and IT requirements. While the use of a free design team is fantastic, you will need to prepare early and be flexible with timeframes because it can take a long time to get designs back that you're happy with if you have a restrictive brand. Smarthub is generally easy to use, good value for money in terms of return on investment, and has the best discounts available of any product like this. Issues are generally with communication and support if something goes wrong. They're a small company that is lean (how they are so competitive on pricing), this means if you have an issue that doesn't fit into their model of what is a common issue, then it will take a long time to resolve. It feels like the company has grown too fast, and so sometimes the support isn't there. The main helpdesk team is based in Bulgaria and sometimes there is a disconnect between what you're told by them and the UK based team. I have found myself in the past contacting both to try to get to the truth. I think there is a mantra in the UK based team to never tell you no, so if you ask for something they will try to accommodate you. You will then go down the line with them, telling the business that you're going to deliver something, then when it comes to the Bulgaria based team implementing the change, you're told it's not possible or you can do it but you need to compromise on what you were promised by the UK based team. In reality I'd rather be told what is possible up front and told that what we're asking for isn't available. Engagement, communications, employee recognition. Our intranet is only accessible through the company network, so having our SmartHub accessible all the time from any device is very helpful in terms of attracting employees to our employer brand, but also information that they may need on the go or while they're not in work such as maternity / paternity policies and information or our elearning system. Thanks so much for taking the time to share your feedback with us. Really pleased to hear that you’re making the most of the full SmartHub® functionality, especially the wide range of discounts on offer. Pairing them with your recognition programme is a fab idea and something that we know drives repeat usage - we call them the “secret sauce”. We apologise for any delay experienced around responses to security requests. We’ve been very busy completing our GDPR preparations in recent weeks, clarifying our position as a business and speaking to a number of different specialist firms and solicitors to confirm our position. This process took a lot longer than planned because of the number of people we needed to include internally (which we didn’t expect when we started the process). Security and privacy are our number one priorities and with this work now nearing completion, we’ll be in touch again about the outstanding issue you have raised. We communicate any large product updates that could impact the site as far in advance as possible to all clients. We don’t share our product roadmap as we move our development focuses to ‘short and sharp’ iterations driven from client feedback which means our roadmap does change very quickly and we don’t want to create any confusion. If you’d like to get a more detailed view, please ask your Client Success Manager to share our weekly product release document with you. They’d be very happy to do so. Finally, thanks for your feedback for others thinking about using the product. I’m sorry that you feel there is a disconnect between our Support Teams. Whilst there isn’t an official mantra to never tell clients ‘no’, we do have very dedicated service teams who will always go above and beyond to support and accommodate client requests. At times, this has meant that we’ve not been able to deliver exactly what we had hoped. We see it as a positive that our employees have such dedication to our clients, but we do agree that sometimes this dedication and ‘can do’ attitude could be a little more controlled. We’ll be taking your feedback to our service leaders to discuss with their teams. Once again, we really appreciate you sharing your thoughts with us and look forward to our continued partnership. I love how much control over the look and feel of the site you are given. Its branded with our images, colours and logos and has a professional website feel. Its so easy to use both for our people but also as an administrator and the fact it can be accessed through any mobile device means we can reach our mobile workforce directly for the first time with our benefit offering. I have had truly great support from the team at RG during launch of the site but then in further launches such as our recognition awards. Any issues we have had largely arose from us not fully understanding the process before we went live e.g. when emails would be sent in holiday trading. The team were always happy to help, but I now make sure I have a training call in before we launch anything so I understand how it will work, what our people will see (and when) which makes everything a lot smoother. It really helps to speak to one of the advisors and go through new processes such as cycle to work or holiday trading in advance. Our only issues have arisen because we didn't understand some of the processes or we assumed they would act a certain way. We make sure we have training sessions now (which RG are happy to accommodate) to make sure we know what's going to happen before we go live. Thanks so much for taking the time to leave such a detailed review about your experience with Reward Gateway and our employee engagement platform, SmartHub®. So pleased to hear how many business problems you’re solving with the product. The discounts app and fully responsive mobile site certainly make it much easier to engage with your employees on-to-go. Hopefully, you are also making the most of the SmartInsights app for all your on the spot reporting needs. It’s really awesome to see that you’re making the most of the end-to-end customisation and flexible layouts. I absolutely love seeing all of the wonderful hub designs our clients and Design Team come up with - each one is so unique and personal to that organisation. It sounds like you've already been on quite a journey with your programme by launching discounts and now recognition - congratulations! So pleased to hear that you’re having lots of success. I really liked your recommendation for others using the product for the first time. Every solution is unique, so it always helps to have a bit of hand holding in those first few days to make sure we cover off all of the things important to you. Thanks again for sharing your feedback, Laura. Have a great week! "Easy to use and benefits our staff. " how long the discounts take to process. It is a really beneficial way to reward yourself but to save money at the same time! You can use the smart hub to request your holidays or either get eye-care voucher for leading optical specialist spec-savers. As well as the savings you can request your entitlement towards Child Care Vouchers, using the CCV calculator. You can use this throughout your family and friends including big company's such as B & Q and John Lewis, as well as getting discounts in local high street shops, you can save on cinema tickets, insurance and holidays. You can make savings in multiple of way including cash back, store cards and instant vouchers. I regularly use the cinema tickets and get my local cinema tickets for half the price as what i would spend if brought there. We want to get more interactive with our HR systems, so we are striving to make the site better, by adding addition HR resources and survey. I have been attending webex to capture the correct date we need and through this it will hopefully interest more of out staff member to join and use the service as much as they can! We have already started doing this by by including holiday request forms and eye care request. We would love to be able to start adding exit interviews to capture more information electronically rather then all my paperwork. This will also help us in the long running with the introduction of GDPR. Happy Friday and thanks for taking the time to share your thoughts on SmartHub® with us. It’s really great to see that you find the platform easy to use and that your staff are enjoying the benefits. Employee discounts are such a good way to show appreciation to your people, boost your employee value proposition and help your employees save on their everyday purchases. Sorry to hear that you think the discounts take too long to process. I think you may be referring to the time if takes for you to receive your Cashback from a specific retailer. Cashback can sometimes be a bit fiddly to track and we occasionally need to reach out to the retailer to ask them to check things out their end, so this process can take a little bit of time. I realise that can be frustrating and I’ll share your feedback with the team to discuss ways to make this whole process a little less timely. We know how important instant savings are to our users and have introduced lots more Instant Vouchers to the site over the last 12 months, with more being added on a monthly basis. Do check out the wide selection as I’m sure there will be many offers in there that can help you to save. Thanks again for taking the time to let us know your feedback. Have a great weekend! "EmMA's Benefits becomes an award winning success for Nottingham Trams"
We have been able to create an amazing brand with Reward Gateway for our Smart hub using our little Robot mascot Emma. The reward gateway team have really embraced our brand and help us shape the smart hub for our employees. Previously we had a number of different providers for employee benefits and the Smart hub brings it all to one place for employees. Using this approach has been a huge success for us and given all Nottingham Trams employees a product that is a REAL benefit to them. It is difficult to answer this, generally we have had nothing but praise from employees. Yes there have been a few queries on response times or extra functionality for some aspects of the Hub. But Reward Gateway always are happy to take feedback and improve what they do! Using the Smart hub has removed so many barriers for employees at Nottingham Trams when is comes to accessing employee benefits. This has been a great success for our business. For me personally I have used the hub many times and find it easy and simple to use. Thanks so much for taking the time to share your feedback on SmartHub® with us. You’ve done an incredible job over the last 14 months creating a really strong benefits brand and I love the use of your mascot, EmMA - what a fun addition! Clearly, the Judges from last year’s Engagement Excellence Awards agreed and saw the impact this has had on your workforce judging by the two trophies you took home for Best Branding and Most Strategic Communications. Before partnering with Reward Gateway, it sounds like you had a tough job on your hands communicating the great benefits that you offer staff at Nottingham Trams. I’m really pleased to hear that you’ve been able to overcome this challenge using SmartHub®. Hosting all of your benefits in one place is a sure fire way to increase engagement and usage across the board and it sounds like your employees are now reaping the benefits. You make an important point about the employee discounts available on SmartHub® being a ‘real’ benefit to your staff. These discounts are so universal that they really can impact your entire workforce and I’m pleased to hear that they’re having the intended impact. It’s fantastic to read that you get regular praise from your employees about the programme. We like to think that managing a programme like this is a part of your role that you really enjoy because of comments like that. It’s always nice to hear that your hard work is being recognised. I’ve noted your feedback regarding a few requests for extra functionality. Innovation is in our blood and we’re constantly thinking about new ways to make the product even better by introducing additional features and modules, or enhancing existing ones. There’s been lots of updates to the Communications and Recognition features just this week, as well as the addition of Employee Surveys earlier this year, however, stay tuned for even more great stuff! Keep enjoying those discounts and thanks again for sharing your thoughts with us. "An excellent platform doing just as it says on the tin!" The ease of making savings whether through cashback or instant vouchers, I myself have saved over £200 using the platform and know that the majority of our clients have bought in to it in a big way. The only problem we have come across is response times from the rewards support team when querying cashback deals, it can take a number of days before a response is received. However I have always been able to speak direct to our account manager, Kam who has followed these up on my behalf. We support 100's of employers with their payroll, weekly, fortnightly and monthly. To try and offer something that our competitors didn't we purchased a license with Smart Hub rewards and offered the access for discounts free of charge as a value add the service we already offer. This has given us greater engagement from our clients pinning them down long term. Thanks so much for taking the time to share your feedback about SmartHub® with us. I’m really pleased to read that the platform is living up to expectations. It sounds like you’re really making the most of the hundreds of offers available through the programme. We know that choice is really important to people and strive really hard to offer both a wide breadth of offers, in addition to different ways to save - whether that be online or in-store. I’m definitely a “Must have it now!” type of girl, so all of the Instant Vouchers have definitely been a welcome addition to my household. Don’t forget you can also use the SmartSpending™ App to make saving on the go even easier! I was sorry to read that sometimes it takes longer than you’d like for our Cashback Team to come back to you regarding queries. Cashback can sometimes be a bit fiddly to track and we occasionally need to reach out to the retailer to ask them to check things out their end, so this process can take a little bit of time. I realise that can be frustrating and I’ll share your feedback with the team to discuss ways to make this whole process a little less timely. On a more positive note, it’s great to hear that your CSM, Kam, is on hand to support - she’s really passionate about making sure her clients are happy! I was really interested to read your comment about how you’re using the platform to help set you apart amongst your competitors. The discounts are such a great value-add for employees and I’m not surprised to see that they’re helping to drive greater engagement across your client base. A great way to think outside the box! Thanks again for taking the time to share your thoughts with us. "Great platform & benefit for the team"
Ease of use; everything is easy to find and use within the platform, as both an end user and administrator. It's a super intuitive platform and easy to manage our team & programs. The support team is also great and always supporting us to make the platform better, and maximise user experience. Really don't know how to answer this, the dislikes are more about us not utilising it to it's full benefit, and have nothing to do with the platform itself. My main recommendation is to be clear about everything it can do, and utilise as much of it as you can; if you implement just one piece it's only the tip of the iceberg and there is so much you can build on and more you can benefit from it. We engaged with SmartHub initially as an employee perk, offering discounts to our team. They are engaged with that feature, but there is much more we can to engage with the recognition and other features. Thanks for sharing your feedback on SmartHub® with us. We’re obsessed with user experience so I’m really pleased to hear that you find the platform easy to use. I hope the new changes to the navigation have improved this experience even more for you and your employees. I’ll be sure to share your kind words regarding support with the team this end. Having a 24/7/365 Employee Helpdesk definitely has it perks and I know your Client Success Manager, Becs, is really passionate about making your programme as successful as can be. Employee engagement is a never-ending journey, however, it sounds like you’ve already made some really big steps forward in your organisation. We’re here to support you every step of the way as your strategy evolves. The platform is designed to be moulded in a way that works for you, so we can put the spotlight on different initiatives as you roll them out. Really excited to see what’s next for you, especially on the recognition front - it’s definitely the part of the product I utilise most, I absolutely love the eCards and Social Recognition features! Anyway, thanks again for taking time out to leave a review, we really appreciate it. It was excellent to be able to design our own tiles for the Smarthub that fit with our corporate image. Our employees give excellent feedback on the discounts and we can see from the utilisation reports that every time we advertise the platform the usage spikes. Discount codes could be a faster way to save money, we have had some feedback from employees that they do not bother with cards as they are not available instantly. Our employee benefits were very limited and introducing the employee discounts platform was our first step towards modernising our package. We have looked at RG for recognition and cycle to work although will not be introducing just yet. "Just gets better and better"
We have been working with RG for over 2½ years using their SmartHub platform. We primarily use it for their retail discount scheme but we are now starting to explore other opportunities as time permits. RG have worked really hard to get the product off the ground and continually support to help us drive our employee engagement. The software is constantly being developed and enhanced. The level of enthusiasm, drive and determination of the staff I routinely interact with is fantastic; the culture of the company is truly inspirational. Some of the T&Cs required by the retailers to access cashback savings can be challenging. The golden rule is to always read the small print on the offer to ensure you get the cashback. They are just a brilliant company to work with. Nothing is too much trouble and they really leave live their values. They have a real can do attitude but more importantly with the demand for extra payment. RG is helping with our employee engagement. It is difficult to substantiate the claim that RG is solely responsible for reducing staff turnover, improving staff satisfaction survey results or improving morale. But this is certainly what we are seeing year on year over the last three years since we started working with RG. "We love our RG platform!" From implementation to the day-to-day operation, Team RG have been a pleasure to work with. All of their team are passionate about their product, their customers, and their mission to make the world a better place to work! Implementation went very smoothly, even given our tight timescales. Our platform was handled by Federica who was always very helpful, knowledgeable, and happy to accommodate our requirements. We've also had two brilliant Client Success Managers in Chloe and Holly. Both have been on hand to help us with developing our platform since launch, again always full of advice on how we can deliver what we're looking to do. We love the amount of customisation on the site, as we're always changing the layout and adding in new bits. It's great to be able to update this ourselves, makes it much easier when you're working to tight deadlines! Being able to use our branding throughout is also great as our colleagues get a personalised experience in line with our other communication and brand. So far we haven't found anything that we dislike. It would be great to develop the built in blogs, we love that colleagues can comment and get involved, but it would be even better if they could upload pictures or videos for even more interaction. Highly recommend using RG as a solution to benefits and colleague engagement. Make sure you have plenty of time to implement to make sure you've got a great platform to launch with. Engaging colleagues from launch will help you keep colleagues using the platform. RG has provided our colleagues with 100's more benefits and discounts that as a business we simply couldn't manage on our own. It's also given us much more of a connection with our colleagues working out in our 170+ stores and support sites. Previously we had no way of sending communication that they can access at a time of their choosing. It's also given us a central place for colleagues to access other People (HR) information, which was previously stored on an outdated intranet. We've also been able to encourage more feedback through our 'always on' online feedback platform, simply by hosting a link out to the site on our RG platform. "Why do I love RG?" I love their creativity and their passion. I love that they do what they say they're gonna do. I love that you can go to them with a crazy idea and they say "We can do that" rather than "No sorry." I love that they really try to understand what you're trying to achieve and help you realise that. I genuinely don't dislike anything. if I wanted to be really picky, I'd say that the admin hub for the site can be feel a little bit clunky but that's probably more about me and my skills rather than a failing of RG. SmartHub is allowing Geberit to communicate in a match faster, fluid way. it provides the backbone of our staff recognition work and it's a fabulous way to help our employees save money. Wow - what a fantastic review for us to read! We pride ourselves on 'Pushing the Boundaries' (one of our 8 core values) and it is fantastic that you feel this too! We definitely see working with clients as a partnership rather than just providing a service. We love taking the time to get to know our clients, their companies, their people and their goals to help you achieve success. A lot of our creativity and passion has come from our founder Glenn Elliott. Glenn is soon to be launching a book (Build It: The Rebel Playbook for World-Class Employee Engagement) containing a lot of creative and passionate ideas around employee engagement. We'll shortly have one out to you in the mail so keep an eye out! Keep those ideas flowing - we are always open to them! "Bright and shiny and new"
I always describe RG to people as a mini Google (unfair I know but its the only way to give them a concept they can grasp easily) Not just the fluid easy to use system but also the fantastic human people who genuinely love their jobs and believe in the brand. Wow - what a great analogy - we’re happy to take that. ‘Love your Job’ is one of our 8 core values so it’s fantastic to hear that comes through so clearly in your interaction with us! It’s great that you raise the point of streamlining communications channels within a business, we have seen great success in exactly this. By using SmartHub® clients have been able to be more open and honest in their communications by getting the right message to the right person at the right time! As well as involving recognition in a meaningful way to increase connection to the wider business. I’m delighted we can help you with defining and enhancing engagement at your business. Thank you for taking the time to leave a review! I love the ease of this program. It really has come quite a long way. It really has helped us to work together as a team in a whole new way. Communication around the office is great and projects are getting done much more quickly and efficiently. I would definitely give the trial a try. You never know until you see what it can do for you and your company. We have noticed some amazing results and are just getting started. The employee surveys are really allowing me to find out exactly where my staff is at. I am able to see what they are thinking, where we need improvements, and where they are happy about changes we have made. This feature allows me to give them a platform that makes them comftorable opening up, where as they might not be in a one on one person to person situation. Front end of the website: The benefits on offer are fantastic! In little over a year I have saved over £1200! This has been a mixture of savings on vouchers and also cashback earned on transactions. I have used the platform for buying entry tickets to parks, cinema tickets, insurance, holidays, tv packages, mobile contracts and so much more! Almost all of my online transactions I make can have an extra added benefit by using our Reward Gateway platform to either get a discount of gain cashback! I have also spread the joy with family and friends by ordering vouchers for them also when needed and they love it! Back end of the website: So easy to navigate! You don't need to be a computer whiz to understand how to reorganise and design your platform. The tiles are all easy to move by drag and drop and resized easily by pulling the corners. You can design your own tiles and upload the images with ease and make the platform look and feel however you like. It's so simple and easy that we regularly change the front page to keep our employees interest peaked. There isn't really much I dislike. Sometimes it can take a while to receive cashback (max 120 days - which can be quite some times after purchase!). We offered a lot of great benefits to employees but we didn't have a single platform for our employees to find these meaning that some of our benefits weren't fully utilized. Now all of these are stored in one area along side the great discounts we can offer by using our Reward Gateway platform! Wow - go you! We’re delighted to hear about your savings. You’ve hit the nail on the head as well; with the breadth of offers available all you need to do is use the platform on the shopping you are doing anyway and watch your savings grow! The backend is designed specifically to be easy to use for people without any tech skills. We didn’t want HR or any of our lovely customers to have to wait around for IT or anyone else to make any changes to their platform. Just as you have identified, refreshing the content keeps things interesting and keeps people coming back - exactly why we made updating it easy! To your dislike, Cashback can take up to 120 days - sometimes we have to wait for the return period to pass before the retailers we work with will release the Cashback. Saying that, a lot of our offers are a lot quicker than this 120 days and to make tracking easy we very recently launched proactive alerts that let you know once your Cashback has tracked! We’re so happy to hear that as well as offering discounts as a benefit to you and your people, we’re also helping with the engagement of your existing initiatives and benefits - this is such a fantastic outcome!! Keep up the feedback and be sure to get in touch often! "The LINK - Charles Tyrwhitt's Smart Hub"
Be patient and expect to have to dedicate resource to it if you really want it to make a difference to your workforce. You have keep it alive. We are connecting business areas and allowing people a new form of communication. It is supporting a culture of transparent, frequent and timely communication. We launched in late 2017 so we are still building it's use and presence but we are delighted with the engagement we are seeing so far. It is going to continue to be a work in progress for some time as we learn about the benefits and refine the hub so we can get the most out of it. Thank you for your review, we love reading these and appreciate you taking the time out to do so. It is fantastic that the platform is helping you connect your business. We are continually looking at ways to improve our platform to allow us to be the best partner to our clients on an ongoing basis. Employee to employee communication is definitely an area we are investigating and have made some big steps forward in recently eg comments, comment threading, tagging, emoji reactions, likes, user profiles and one click recognition! Of course, we’re always open to more feedback so if you have things in mind please do get in touch - our ears are always open. At RG, we are huge advocates of open and honest communication and it is fantastic to see that you’ve achieved great engagement with this since launching in 2017. We’re excited to continue this journey with you and ensure the LINK becomes a core part of your business. vibrant and enthusiastic company with a real passion for people and workplaces. creating a flexible benefits selection platform would be great. We currently have to use another provider for this but it would be good if it was all managed by the same provider. We have had the retail discounts for years but this week launched the Wellbeing centre as we are hoping it will enhance the depth of support we can offer to our staff regarding mental and financial health. We are launching a new Wellbeing policy this year and this is one of a few initiatives we rolling out that will help support this. Smarthub is a really great way in which to reward and recognize our employees by providing them with a huge range of everyday discounts, access to the latest Tech and encouraging a culture of recognition and saying Thank You within our organization. The MI can be a little tricky to extract and I would like to see more about how our employees are accessing the site i.e. mobile, desktop and at what times during the day so we can target our communications more effectively. It time of limited benefit budgets this is a great way to give something tangible and real back to employees. Thanks for your detailed review, we really love receiving and reading these. We love that you are using SmartHub to bring together lots of benefits for your employees culminating in a recognition culture. Great work! It is a fantastic idea to target communications to employees to ensure the beat message is reaching your people at the best time. We would love to help you achieve this. We have reporting available now via Reward Manager, the SmartInsights app and from request by Client Support. However, I raised your points directly with our Senior Product Manager for SmartInsights. Thank you for the valuable feedback and for helping make the world a better place to work. That the platform is so easy to use (front and back end) and that it's easily customisable. Great customer service from Client Success Manager and the access to value added info e.g. webinars, ebooks etc. It can sometimes take (what feels like) a long time for changes to be actioned and it can involve quite a lot of to-ing and fro-ing. It would be great if the design of the platform also allowed for different shaped tiles rather than just square/oblong. There are some niggles with funtionality that I know are being dealt with but it seems to take a while (information on pages being out of alignment). Employee engagement, recognition, internal communications. Reward Gateway are so passionate about what they do and this is infectious. They are always ahead of the game in terms of developments and new products. They work with us to ensure anything new is right for our People and the business. They are always willing to help us with improvements and come up with workable suggestions. They are a joy to work with and always enthusiastic. We recently had some issues with invoices but this was resolved satisfactorily. RG has helped us massively with our recognition programme and we are about to launch instant awards and social recognition. This will help us with using our recognition budget more effectively and help motivate and engage our employees. We are also about to launch our Blog which will help with communicating to our employees about benefits. "Setting up a tailored Employee Benefits portal"
Great professional and proactive customer service from everyone within the Reward Gateway team, especially from our Client Success Manager. I can't think of anything, we have been very happy with the service. Very professional and proactive service, the company spends a lot of time in getting to know you as a client so that the product suits your organisation. We've received excellent level of support from both the implementation team at the early stages and ongoing support from the client success manager. We were looking to improve our employee engagement following a creation of our organisation and transfer of staff who were previously public sector employees of a large Council. 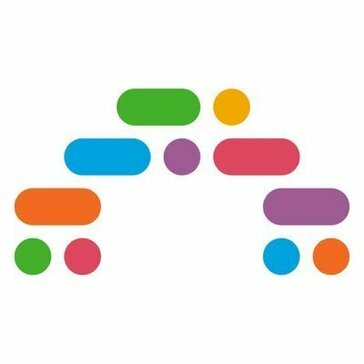 We did not have any centralised employee benefit scheme prior to working with Reward Gateway so the creation of the Smart Hub has helped with both providing our employees something unique, reinforcing our brand and corporate identity and also made a great improvement in our employee engagement levels. "Very enjoyable to work with"
I enjoy RG's enthusiasm and their obvious passion for what they do. I have been working with them for a relatively short period of time, but even in that time they have given me several good ideas and resources. At present, I've found nothing that I dislike. "Easy to use, great for staff engagement"
The reward and recognition elements (E-cards, instant rewards etc) are great for driving staff to the site and for engaging staff and creating a culture recognition and congratulation. Having one central place where we can store all our information, policies and paperwork both Group-wide and for individual businesses from across the Group is really valuable. It's a shame that the template is so rigid - we were hoping for round tiles etc as that fits in with our Group brand, which would be brilliant! Also, the fact that it's not available as an app I think impacts staff engaging with it as a product. I think there is an expectation these days that this would be possible. It's such early days after our relaunch but the feedback has been really positive. Thank you so much for taking the time to leave your review. I am delighted to hear that our reward and recognition solutions (eCards and Instant Awards) are embedding a culture of recognition and congratulation. We love being able to increase moments of thanks and create visibility as well as ongoing connections! Plus having one platform as the 'source of truth' and place to go for all important company information relevant to each employee creates a much improved user experience! It’s interesting you bring up the platform template, it is the result of user testing focused on usability and ease of use both on computers and also mobile. You are right though that we do not have the ability to do round tiles. However, we have some clients who have incorporated circles into their platforms in innovative ways. I’d recommend speaking with your Customer Success Manager to get our in-house design team to brainstorm some ideas that could work for you within the framework. Thank you again for taking the time to review our platform, we love hearing your thoughts. "Fantastic employee benefits hub and fantastic savings to be made!" I love the tile format of Smarthub which makes it really user friendly. I also love the fact that it allows us to have all our employee benefits in the same place. The shopping discounts are fantastic too, personally I have saved nearly £900 and our employees have saved over £600,000 collectively! Smarthub allows us to have all our employee benefits and rewards in one place meaning employees know where to go to be able to see what is available to them. We have also been able to pass on massive savings to our employees which they love! We have seen increased employee engagement through using Smarthub and over 60% of our employees are registered with the site. Thanks so much for taking the time to leave a review of SmartHub® on G2 Crowd. We’re really pleased to hear that you’re loving the platform and that both you and your employees are utilising all of the great offers available to make huge savings. At a time where the UK population’s disposable income is tighter than ever, these extra £’s really do go a long way. Secondly, it’s great to see that you’re using SmartHub® as a place to house all of your benefits and rewards. Creating a centralised place for all your initiatives really does drive higher engagement and it’s clear to see that you’re seeing the benefits of that in terms of both uptake, savings and your overall employee engagement score. We really appreciate you making the time to share your feedback with us. PS. If you’re a spur of the moment shopper like me, don’t forget to use the SmartSpending™ App and the ever-growing selection of Instant Vouchers to make saving even more convenient. "Smarthub - looks great and easy to navigate"
Platform looks great, very current and is very flexible so can be tailored to suit corporate branding rather than looking like an additional product. Great range of discounts and the Smartspending app makes accessing these much quicker and easier. Excellent support and quick responses from the Client Support team, the design team and Chloe our Client Success Mgr whenever we have questions or need help with a new tile or graphic. No dislikes as changes can be made quickly and with help from RG when needed. Although we don't use all the products, we have close to 100% of employees registered making significant savings via childcare vouchers, cycle to work and shopping discounts. The wellbeing hub also fits well with our own wellbeing offering with embedded links between the two. Wow! What a lovely review to wake up to for thing this morning. Thanks for brightening up my commute into work and for taking the time to share your feedback about SmartHub® with us. It’s great to read about how you’ve customised the platform so that it’s totally in line with your corporate brand and how you're using it to promote the initiatives that are most important to you. We know how important creating a strong employer brand is if you are going to drive repeat engagement with a programme like this, and it sounds like you’re hitting the nail on the head there. Really pleased to hear that you’re utilising all of the support available to you. The Design Team is really world class and it sounds like they’ve worked with you to create a brand you can be really proud of. Additionally, having a Client Support Team on hand to support with all of your reporting and day-to-day queries, as well as a Client Success Manager to partner with you on your overall strategy, comms and campaigns is all there to help make your life a little bit easier. It’s absolutely fantastic to see that you have got almost 100% engagement with the Employee Discounts, Childcare Vouchers and Cycle to Work. Clearly, your hub is a place that your employees get massive value and enjoy coming to. A massive well done to you on achieving this level of take-up - I know these numbers don’t just happen by themselves, and I’m sure lots of hard work has gone into the design and communications around the platform to help to drive that engagement. You should be really proud of yourself! Thanks again for sharing your thoughts with us. The team will be really pleased to read your review when they get into the office this morning. "SmartHub offers dynamic solutions "
SmartHub offers a large range of everyday discount using the latest technology making it very easy for employees and their families to use and take advantage of. What’s there no to like? It’s the best employee discount platform in the industry. SmartHub helps us with employee engagement. With the help of the Reward Gateway team we are regularly communicating and promoting our Company benefits to make employees feel valued and feel part of a first class business that has its employees at the heart of everything it does. Your organisation sounds like a wonderful place to work and it’s great to see that your programme is helping to enhance your Employee Value Proposition and, in turn, helping you to achieve your employee engagement goals. Really pleased to read that you extend the discounts to your employees’ families and encourage them to use the offers available. There’s such a wide range on the site that there really is something for everyone. You can make quite a saving, especially when you combine a whole household, and we know that every pound counts! We really appreciate you letting us know how we’re doing. Your feedback helps shape product developments and enables us to continually improve, we're really grateful that you've made the time. "easy to navigate and adaptable"
easy to access benefit information, it enabled us to review all our benefits and re-engage with employees over a core feature of working for and at logicalis. We know people won’t engage in a site hosting information that is out of date or not changing - that’s why we give you the power to easily update when it makes sense to you! Thanks for your feedback re the fund awards - I have fed this back to our product managers to review. We are delighted to be your partner in helping your people access and re-engage with their benefit offering. "Smartness wrapped up in an easy to use, fully customisable platform. No coding skills needed." So easy to customise and update. Everything you do can be moved, resized, added and removed. Fully customising the SmartHub means it looks 100% on brand for our business and doesn't looks like an 'off the shelf' product. The unique URL for the hub also makes it easy for team members to reach on their desktop or mobile (everything is automatically mobile enabled). The support form Reward Gateway is amazing, I can ask a question, and have it instantly answered via live chat, 24 hours a day. Being a Reward Gateway client is more like being part of a community which is a really nice. touch. There is not much to dislike more suggestions to enhance the platform, which they are always willing to listen too. The blog tool is an area that could be enhanced, for example introduce email notifications to let team members know a new blog post had been published would be a useful addition. Interactive organisational charts would also be another great feature. It has become a single location for things that matter to our team members including benefits, discounts, policies and learning. We are beginning to utilise the platform for Internal Comms now with blogs and moving away from a traditional weekly newsletter. We have also moved away from relying on the traditional intranet (which looked dated and was hard to update) in favour of the SmartHub. Thank you for taking the time to leave a review - we love reading these as your feedback often provides us with great ideas for ongoing improvements. We’re delighted to hear how easy you find the platform to build and edit - that was exactly how it was designed to be. We work hard to make our clients working lives easy both from a technology standpoint and the service we provide. Talking of being part of a community, have you checked out ant of our Engagement Excellence Live events? They’re a great way to meet other likeminded HR professionals and learn/ share best practice. Thanks for your recommendations around improvements - we have some exciting updates to blog features coming soon - watch this space! I have raised the org chart suggestion directly with our product team, great suggestion. Thank you again for your feedback and we’re so happy to hear all the great ways in which you are using SmartHub®. "A great choice for employee rewards and benefits site"
The personalised help from all of the team! RG have really been extremely helpful not only in getting us set up and helping us to use the platform but through all communications and activations to our employees. There is nothing I dislike. There are some small technical pieces that still need some tweaking by by enlarge the site is absolutely perfect for our needs. We do have issues around reaching staff as many work away from computer terminals therefore communication is very important to us and by having an App we can reach all of our staff all of the time. Thanks so much for leaving us a review on SmartHub®. From your comments, it sounds like you’re a relatively new client so I’d like to take the opportunity to wish you a warm welcome to the RG family! The level of personalisation available with this platform is a key part of what makes it a success. Your hub has to look and feel like your employer brand in order for your staff to recognise it and want to engage with it on a continuous basis. It’s great to see that you’re really making the most of this feature. It’s also fab to see that you’re making the most of the app. With mobile phones in everyone’s pockets these days, there’s no longer such a thing as an offline workforce. Whilst many employees can’t look at phones whilst they're ‘on the job’, the app is a great tool to help employees make the most of their savings, or catch up on important info whilst on a break, commuting or at home. I’m sure your Client Success Manager is working with you to put together a great comms strategy to keep this engagement high throughout the year. We really appreciate your lovely feedback on our team. Our whole Support and Client Success structure has been designed to put experts in place to support you on every part of your engagement journey with us. Whether it’s the Implementation Team helping to create your bespoke branded hub and excitement around the launch, the 24/7/365 Helpdesk answering employee queries, our Client Support Teams pulling your MI so you can keep tabs on progress and ROI or your dedicated Client Success Manager helping to drive engagement throughout the year, we’ve got your back! In our experience, an employee engagement journey never ends, and there will always be tweaks to be made to support your evolving needs, however, do let us know how we can support to make this easier for you. Support from Reward Gateway team for all products and services. This is not a dislike response, more of a improvement request response! Blogs and Articles require improvement to promote increased usage. They require to be easier to compile, distribute and review prior to launch. Notifications for comments and likes to the eCard system will increase usage from peer to peer in my opinion also. It's fantastic to hear you like the support provided, we work hard to try and make your life easier! We are always, always open to improvement requests and seriously review all of them. The good news on your recommendations is that we have feature improvements launching shortly on blogs and articles. You will be able to create, edit, send for approval, save as draft and publish blogs from the frontend of your platform. In addition you can now like, comment, react and tag other employees in both blog and recognition moment comments. Everything is aimed at an incredible user experience encouraging ongoing interaction with the platform to ultimately improve connections! Please keep your ideas flowing and any time you would like an update check in with us. "Great way to engage with your bosses & c-level managers"
As an employee, it was a great way to communicate with the company leadership especially when face to face interaction wasn't always well received on the exec-level. It could take the management a bit of time to either review employee recommendations or develop a plan of action on implementing some of the recommendations. The engagement aspect is great IF you listen to what your employees are trying to tell you. A happy and improved workplace is definetely more enjoyable and productive. Communication, communication, communication as well as streamlining company efficiency and working towards new business models that can help the company grow. There were a lot of really great tools the software offers that my then company did not take advantage of fully. Thanks for taking the time to leave a review of SmartHub® on G2 Crowd, it's always so valuable getting feedback from one of our end users. Great to hear that the platform helped improve communication in your organisation and speed up processes. We're big believers that open and honest communication is the foundation of employee engagement. If there's anything we can do to support a similar initiative at your new company, then please don't hesitate to reach out. Thanks again! "Fantastic employee benefits offering with huge savings on everyday shopping to be had!" Smarthub is fantastic, changes are easy and the system is very flexible so can be tailored to suit anyone. An amazing array discounts and the Smartspending app makes accessing these much quicker and easier. Excellent support and quick responses from the Client Support team and Rebecca our Client Success Mgr. Nothing that I can think of at this time. SmartHub allows our employee’s to gain from the huge savings on offer it also gives us an opportunity promote other employee benefits. We have seen increased employee engagement through using SmartHub by utilising Cycle to Work and SMARTFIT with over 85% of our employees are registered with the site. Thanks so much for taking the time to share your thoughts on SmartHub® with us. We’re so pleased to read all of the positive feedback. I know Becs was over the moon to receive your kind note about her support, and our Client Support team will be, too. It’s great to see that both you and your employees are making the most of the hundreds of discounts available and it sounds like you’ve got into the habit of using the SmartSpending™ app for an even easier way to save on the go. I’m a big fan! Congratulations on increasing employee engagement at your organisation as a result of using the platform. Bringing all of your benefits under one roof has such a positive impact on take-up and if you pair that with an engagement platform which is customised to look and feel like you, you’re onto a winner. Well done on those fantastic usage figures - they’re really impressive and it sounds like you have a very healthy workforce! Thanks again for taking the time to let us know what you think of the platform. "Easy set up and use "
The peer to peer award nominations. Being nominated by a colleague for an achievement is sometimes more valuable than being thanked by a manager. The e-cards. We don’t really use them and many of the team have said they feel it’s an outdated way to communicate. We use the site as our employee benefits hub. Its fantastic to have all this information in one place. Row here, the Product Manager for our Recognition suite. Thanks so much for taking the time to leave us a review. I'm really pleased to hear that you're using your platform as a place to house all your employee benefits and recognition tools. Having everything in one place is certainly a sure fire way to increase engagement. We’re sorry you feel that way about eCards. There are definitely some great success tips we can work with you on to make sure you eCards are kept fresh, unique, up-to-date and loved by all! Our first tip is to make sure your eCard designs are updated regularly and really represent your people and culture. Our client design team are always eager to help fulfil any design brief sent their way - so if you would like us to, we can give you current eCards a sparkling makeover. Our second tip, (if you haven’t already) is to upgrade to eCards Version Two and started using our Social Recognition tool. This is a place where employees can choose to send and post eCards to a social media news feed, ensuring their peers' recognition moments are shared and celebrated throughout the business. Sharing recognition stories is one of our favourite trends in Reward and Recognition at the moment, because social platforms are becoming such a massive part of our everyday, they are quickly becoming an R&R ‘must have’ for organisations. Social Recognition is also a really great way to share what your values look like in action across teams and locations. As well as promoting open and transparent communication, it is great way to show your employees that you trust them, and you want them to share their stories through a powerful communication tool. Please do let your Client Success Manager know if you'd like to explore either of these options and thanks again for taking the team to share your feedback with us. "Excellent product with helpful and friendly support staff"
Phil here, the Product Manager for our Salary Sacrifice products. Thanks so much for taking the time to leave us a review. I'm really pleased to hear that you're using your SmartHub® in the best way possible, it’s always great when you can make changes yourself. Your feedback on Cycle to Work is actually spot on, it is a bit confusing isn’t it?! We always want benefits to be as simple as possible to use, even if they are a bit complex. That’s why we’ve been developing Cycle to Work 2.0. Cycle to Work 2.0 is easier to apply for, simpler to understand and quicker to use. By working really closely with Halfords we’ve been able to create the world’s first instant redemption for employees. This means that an employee could literally apply for their Cycle to Work inside a Halfords and walk out with their brand new bike in minutes. We’ve done a complete update of the product, modernising it, making it clearer with more information than ever before and making the application journey a simple step by step process. It’s not just the employee journey we’ve been improving, we’ve integrated Cycle to Work 2.0 into our SmartPay administration system where it can sit with your other payroll benefits such as Childcare Vouchers, Holiday Trading and even your Gym and physical activity benefits. Thanks very much for recommending the Masterclasses. They’ve been a really popular addition to the marketing calendar, so expect lots more of those this year! Really appreciate you taking the time to share your feedback with us. Nothing yet - RG have clearly put a lot of thought into developing their product and it really shows. SmartHub is head and shoulders above rival systems - at the very least, arrange a meeting with their enthusiastic and friendly team to discuss your needs. We introduced an employee engagement scheme to address recruitment and retention in a low-paid sector. It's early days yet (we only launched in late June), but our staff have collectively already spent over £75K and saved in excess of £10K. It's a great way to reward and incentivise staff in an environment in which payrises are few and far between. Thanks so much for the 5* review, your feedback is so valuable to us. The savings you've made since launch are really incredible, it's clearly a popular programme with your employees. I'm sure you'll see those numbers increase even further over the coming month with Christmas just around the corner. Hopefully, your employees can use some of the money in their Cashback pots for gifts for family and friends (or themselves, even) to make the Christmas burden that much easier. I just had a quick peek at your programme and I love how you're using all the tiles on your homepage to promote all the great discounts and benefits available to your workforce. It looks like you're really making the most of communication tools on offer! Thanks again for taking the time to review SmartHub®, I hope your success continues and that the platform keeps helping you to address your recruitment and retention challenges. "Great product that has improved our employee engagement and communication." I like how flexible it is - we can pretty much make it look how we want. The content as well is almost whatever you can come up with - Reward Gateway will find a way to make it work. I don't think I dislike anything, Anything that isn't how we want it is only because we haven't got round to sorting it out. If you are looking for a way to engage your employees and want somewhere to park all those "If only we could do this..." - this is it. Earlier this year we surveyed all our employees and the biggest issue was internal communications. FAB (the name of our SmartHub™) is already improving this even though we still have many other items to add to it. It was launched in September and by early next year we will be able to do away with all the internal non-work related emails that fly around and wind everyone up (ans work related ones too). The other problem, with our rapid growth, has been that we don't know who everyone is. With the Who's Who and other future projects this is being resolved. Thanks a lot for reviewing SmartHub® on G2 Crowd. 5 stars AND 10 out of 10 - we couldn't be more pleased! It's fantastic to read about how FAB is helping you to improve internal communications at Checkatrade. SmartHub® really is flexible and it sounds like you're testing it to the max with all of your ideas and content - keep it coming and we'll keep doing our best to make your dreams a reality. I can totally relate to the challenge of not knowing who everyone is due to rapid growth and think 'Who's Who' is such a great idea. We do something similar at Reward Gateway called 'Meet the Team' - with 7 offices in 5 countries it definitely helps put names to faces! Anyway, thanks again for taking the time to leave a review and I look forward to hearing more about the success of your programme over the coming years. Please do feel free to pop back and review us again as your programme evolves, with 5 stars and 10/10 the bar is high but we wouldn't want it to be anything less! would like to see local benefits to s specific geographical location, or the option to suggest other retailers RG could approach to organise discounts with. These are not available at present. Recently we have moved over to RG for childcare vouchers which has been smooth and seemless. We are also seeing greater employee engagement / chatter about the platform as more and more use it. "Great products and an innovative team"
The RG team are brilliant providing tailored support to help us achieve high engagement with the platform. They are happy to go the extra mile to help us. It is very difficult to find something I dislike. There is a very minor access/login complexity that I think could be improved but these are most likely linked to our strict IT policies rather than the platform. Greater engagement with our vision and direction as well as providing a meaningful, but cost effective, addition to the overall staff benefits package. "Good platform with really good benefits"
Vast amounts of discounts available to suit nearly everybody. The smart spending app is really handy and made it much more user friendly especially when on the go. I'd like to be able to see which of our employees have registered and use it so I can speak to them individually and encourage them to use it but that's not possible due to data protection. A single sign on would be really beneficial so staff don't have to log in separately to see MoliHub Blogs and News. Thank you for the review - we love reading these. Thanks for your feedback on SSO, a big focus of ours is reviewing integrations and how we can make user journeys as seamless as possible. More on this in the near future. Thanks again for taking the time to leave your review. "A tangible benefit to our business"
The platform is easy for our employees to access and navigate around. It's provided a one stop shop for our colleagues in accessing and understanding their benefits and a great format for keeping them informed of what's happening in our business. Our Account Management from Reward Gateway is great. Have a clear view of your objectives and employer branding it'll help Reward Gateway to steer you in the right direction. Communication and a one stop shop solution. Thanks so much for stopping by to let us know how SmartHub® is helping to enhance your EVP at Selco Builders Warehouse. It’s really great to see that your employees find the system easy to access, navigate around and tangible to them. Employee discounts are such a universal benefit that help to drive continuous engagement, but you’ve got it absolutely right by tying both your benefits and communications together under one central hub. I really love the concept we’ve come up with together, as well as the wider piece you’re doing around communications at Selco - it’s world class! Very excited to hear more on this from Marc at our next Engagement Excellence Live event in May. Hopefully see you there too? Finally, I’m over the moon to read your comments about our team. They’ll be so pleased to see this, too, and I’ll make sure to share company wide. Thanks again for sharing your feedback, Simon, we’re so grateful! "A fantastic platform, designed to help improve employee engagement." Smarthub brings employee discounts, reward & recognition and wellbeing together in one, easy to use engagement platform which is customised with our company branding. It's a crucial support tool, helping drive employee engagement. The Smart Spending app is extremely useful for employees to take advantage of savings whilst on the go and the Smart Insights app provides a Dashboard showing how well our program is running, at the touch of a button. It's a great product and there isn't anything to dislike. Our employees love to save money, just about every retailer is featured. Its really easy to manage our employee incentives and our Long Service Awards on the platform. Our Health and Wellbeing Strategy is underpinned by the information and guidance available to employees through our 'Wellbeing Centre'. It sounds like you’ve got a really holistic employee engagement offering at your organisation and it’s great to read that you’re hosting all of your benefits, reward & recognition and wellbeing initiatives together under one roof. Bringing everything together is a great way to boost engagement and uptake and when you pair this with a customised branded hub that your employees are familiar with, you can’t go wrong. It’s really great to hear that you’re making the most of both our apps. The SmartInsights app is such an important tool to be able to measure how, when and where your employees are engaging with your hub and all of this data helps us work together to create an engagement strategy that delivers results. I absolutely love the SmartSpending™ app, too! The easier it is for me to save on the go, the better, and it sounds like this is something which is similar across your workforce. There’s such a wide selection of retailers on the employee discounts platform now, but do keep an eye out for new ones, plus increased discounts, as the team are always working to make the offering even better. You can expect lots more Instant Vouchers, too, as we know how employees love those. Fantastic to see that you’re using all of the advice, blogs and videos on the Wellbeing Centre to support your wellbeing goals. This product does a great job explaining how your employees can live healthier lives in all three key pillars of wellbeing: Physical, Mental and Financial, but also gives them choice so they can focus on what’s important to them. I expect you’re already seeing the benefits from having introduced it. Thanks again for letting us know how we’re doing and keep up the amazing work! You’re doing some fab things for your people and I’m excited to watch how your programme develops. "Smart hub is modern, easy to use and progressive. Smart user experience in both look and feel." Modern look and feel but intuitive to use. Great colleague experience demonstrated by how many people come back and use it weekly/daily. Travis Perkins Group RFP'd the market and in our view this was "head and shoulders" the best solution. Integration is critical and this product is properly joined up delivering seamless colleague experiences. In truth nothing. The software is highly configurable and therefore Reward Gateway have been able to meet our diverse requirements. Colleague feedback is constantly positive. Spend on the site consistently high. Whilst I haven't looked at the broader market for 18 months, my expectation would be that Smart Hub / Reward Gateway would be on the shortlisted technologies. The site is a Recognition site. We have delivered positive engagement, real cost savings for colleagues and multiple Reward solutions - voluntary discounts, peer to peer recognition, recognition awards and long service awards. A positive partner experience so far and no regrets about the decision to select this technology/appoint this partner. Thanks so much for giving SmartHub® top marks on G2 Crowd. I'm so pleased to see that your recognition programme is helping to deliver positive engagement and real costing savings for Travis Perkins employees. Your success at the Engagement Excellence Awards 2015 is proof that the programme is helping you to tackle your business challenges head on. It's lovely to read that your colleagues love the site too and that it's ticking all the boxes as far as your requirements are concerned. We've got lots more developments in the pipeline which your Engagement Manager will be sure to share with you. Please do feel free to review us again when you hit specific milestones or launch new SmartHub® features, your feedback is invaluable and helps us to improve our product and service to support you and your colleagues in HR. "Fantastic platform, easy to use and excellent support!" I have personally been directly involved with the setup, implementation and continuous development of our rewards system. i was quickly given top tier access to the back end along with some basic training to be able to do pretty much whatever i like to the system!, creating content, altering the design and more has been very easy to do and the support has always been available and of top quality. We haven't necessarily had problems which required resolving however we had never had anything like this in place before Rewards Gateway came on board, the SmartHub has seen employee engagement increase and is used a lot by users to recognise individuals for many different things. Thank you for the feedback and your review. It's great that you've found implementation easy and the support really useful. It's interesting to hear about the lack of customisation on the homepage as we created SmartHub® to be fully customisable and tell the story you want to get across to your employees, it would be good to understand this point more if you can give us more info here. We're delighted we can help you with your employee engagement levels and it's fab that you have seen an increase after the introduction of the program! Here's to more success in the future. "Total ease of use and a very helpful team." I love the app it makes using the benefit so quick and simple. Automatically registering our new starters every week has seen a huge surge in members and employee spend over the past year. The team are so helpful and always very friendly. Communication is always straight forward and eye catching. Would like to see more instant vouchers available. Since the security data update a large amount of employees were not able to login, however the helpdesk have always been able to resolve this issue. Thank you for leaving us a review! It is so great you love the app, it was designed to make things easy, quick and simple and of course accessible on the go. It's also fab to hear that the team have been great and the communications hitting the mark - we work really hard to 'Delight our Customers' (one of our 8 values). Instant vouchers are great! Who doesn't love instant savings eh? Our retail team are always working on new innovations and new partnerships and part of this is adding Instant Vouchers ongoing so keep an eye on the program for the latest additions. * We monitor all Reward Gateway reviews to prevent fraudulent reviews and keep review quality high. We do not post reviews by company employees or direct competitors. Validated reviews require the user to submit a screenshot of the product containing their user ID, in order to verify a user is an actual user of the product. Hi there! Are you looking to implement a solution like Reward Gateway?